Imagine what if weight loss just comes easy without hard work; wouldn’t it be nice? Is it possible? I think so. Today, I am going to introduce a few easy does it tips to lose weight naturally, so you can reshape your body while enjoying a happy life. You don’t have to feel frustrated about the yo-yo dieting or stuck in a weight up and down game. Instead of trying all kinds of fad diets and diet pills, controlling the food intake on a daily basis and maintaining an active lifestyle are most important ways to prevent weight gain. The challenge is when we grow older, our metabolism slows down, and this makes weight loss much more difficult. I am going to introduce a few simple and unique weight loss exercises to stimulate our organs and improve our metabolism. They are simple but very effective. Based on the Traditional Chinese Medicine (TCM), the foot is a mirror that reflects all your inner organs including your spine. There are many reflection areas and acupoints on your foot, just like the hands and ears. You can easily stimulate your inner organs including your metabolism with a rolling pin on your foot. Massaging each of your feet on a rolling pin is easy and simple, believe it or not, it works. The sore spot on your foot is like a weather forecast to remind you that you need to pay attention to that specific area, which is related to the certain part of your body. For example, the area right below the small toe is the reflection area of the shoulders. If you are suffering from a shoulder pain, you can focus this area on the rolling pin. As time goes by, your shoulder pain will disappear. 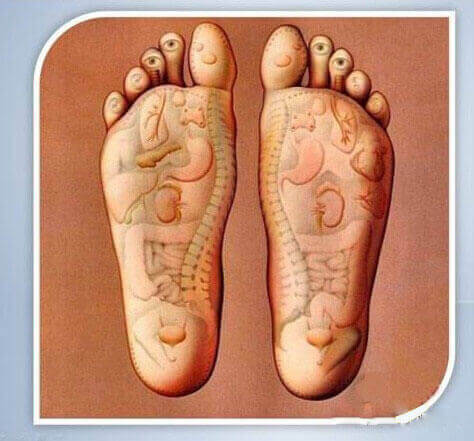 Here is the role, the left foot corresponds to the left side of the body and organs, and the right foot corresponds to the right side of the body and organs. In general, the toes reflect the head and neck, the inner side of the foot reflects the spine, the middle part of the foot reflects the waist, and the bottom of the foot reflects the pelvic area. If you want to shrink your waistline, you can focus your exercise on the middle part of your foot. You can easily boost your metabolism by doing this simple exercise every day. This exercise can also improve your sleep quality because there is an important acupoint for insomnia called Yongquanacupoint, which is located right in the center at one-third of the length of your foot. Sleep deprivation can elevate the stress hormone – cortisol, which causes muscle loss and fat accumulation especially in your abdomen. You may not aware that abdominal fat is inflammatory, which can lead to heart disease and diabetes. If you are suffering from insomnia, this foot exercise can help improve your sleep quality. Here are more tips to help improve your sleep quality. A good 10-minutes exercise for both feet every day can help you lose weight easily and stay healthy. You can even do this exercise when you watch TV. One of the main causes of weight gain is due to the toxins built up in the body. 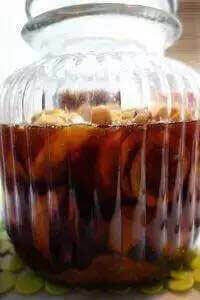 According to the TCM, when the dampness deposits in the body, it has a tendency to deposit in the fat tissues and organs, and it attracts more toxins to deposit in the body and blocks the energy flow in the body. Here are a few tips to detoxify your body and speed up your metabolism. According to the TCM, the arm is the part of the route for the meridian energy flow of the large intestine channel to pass through. By beating the elbow pit of your arm, you can increase the efficiency of elimination of the large intestines. As a result, this exercise speeds up the detoxification process and prevents constipation. It also enhances the function of your lungs because the meridian energy flow in the lungs is connected to the large intestine channel according to the TCM. This exercise is very easy to perform, just beat your elbow pit with another hand in a comfortable pressure for 5 -10 minutes for each hand every day. This exercise can also help get rid of the flabby arms. After a few months of practicing this exercise, you may notice that your face also starts to glow as a result of effective detoxification. It is a good idea to drink a glass of water after this exercise to speed up the detoxification process. Stretching the inner thighs is a great way to detoxify your body especially around the pelvic area because it increases the blood flow in the lower abdomen and reduces the accumulation of the abdominal fat. Women can strengthen their reproductive system with this exercise. It is simple but very effective. Our body is designed to move regularly and the spine is the support for our body. Long periods of sitting every day can lead to lots of serious health issues including organ malfunction and back pain. For example, when you sit for too long, the blood flow slows down and muscles burn less fat. This makes it easier for fatty acids to clog your heart and causes heart problems. The ability of your body to respond to insulin is also affected by prolonged sitting. This can cause the pancreas to produce increased amounts of insulin, which may lead to diabetes. The disks in your spine are designed to expand and contract as you move, which allows them to absorb blood and nutrients. When you sit, the disks are compressed and can lose flexibility over time. Excessively sitting can also increase your risk of herniated disks and back injuries. This exercise can strengthen your spine, improves the digestion and prevents back pain. How to do it? Very simple: shake your body like a belly dancer. You can enjoy this waist swing 50 to100 times a day, and the more the better. Soon, you will notice that your back pain is relieved, your waistline is shrinking and your body is reshaped. Why do people have knee problems? The knees are like a bearing, long-term use of a bearing without maintenance will cause the bearing worn out, so as our knees. The energy and blood supply to the knees are like the lubricant oil to the bearing. Without sufficient supply of energy and nutrients, the knees are going to be compromised with years of overwork. We all know that exercise is good for us, but if you are still doing vigorous exercise with a sore knee, more injuries can occur. This leads to the more workout, the more damage to the knees. Most knee problems are related to the blockage of the energy around knees according to the TCM. Kneeling exercise is going to help bring the Yang energy down to the lower part of the body. This will lead to the increased supply of blood and nutrients to the legs and knees, which increases the metabolism and speeds up the detoxification process of the lower part of the body. As you are kneeling, you will discover that your lower body starts to warm up. When you are kneeling, you can also stretch your upper body as the image below, such as bending your upper body as much as you can to reach your knees with your arms stretching forward on the floor. This exercise can be very efficient to slim down your thighs. What about weight loss diets? We all know that less is more in terms of calorie intake. I am going to introduce a magic weight loss drink that will help shrink the waistline fast. It is very easy to prepare. Step one: Wash the lemons and ginger with the skins, cut lemons into thin slices and place them in a bowl. Chop ginger into small pieces and place them in another bowl. 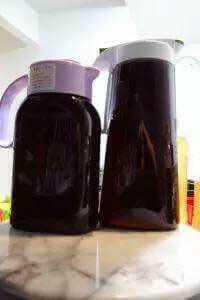 Prepare abig glass container. 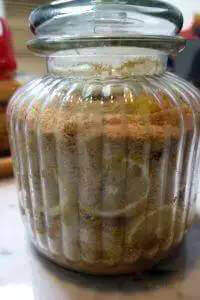 Step two: Place lemon slices in one layer at the bottom of the big glass container. On top of the lemon slices, spread a thin layer of coconut sugar, and then place one layer of chopped ginger on top. Again, on top of the ginger, spread another layer of coconut sugar. Step three: Repeat step two until you finish all the lemon slices and ginger, then place a layer of coconut sugar on the top. Put the lid on the container and leave it at the room temperature. Step four: The next day, wash your hands and use a fork to mix the ginger and lemon slices. Then place a thin layer of coconut sugar on top. The sugar will start to drop to the bottom. Seal the container with the lid. Step five: Repeat step four for the next day. Step six: For the next five days, mix the ingredients with a folk each day and seal the container with the lid afterwards. Step seven: On day 10, you can separate the solid from the juice in a filter. Discard the residues and put the juice in a glass jar, leave it in the fridge. Now your magic weight loss drink is ready! You can take 2 -3 table spoons of this concentrated juice and dilute it in a glass of water, and drink it before each meal. This fermented juice not only cleanses your gut and detoxifies your body, but also speeds up your metabolism to lose weight fast. Fermented foods contain beneficial live bacteria known as probiotics. They are the bodyguards to your digestive system. If you want to learn more about amazing health benefits of probiotics, read How to use pre/probiotics to guard your gut and improve your overall health. In addition, Vitamin C and antioxidants in lemons can also improve your skin condition. Both lemon and ginger are excellent for reducing inflammation, improving digestion, and burning fat. Don’t forget to watch your diet. Any weight loss magic is useless without following a healthy diet. Make sure that you are eating plenty of leafy vegetables every day, and cut down the bakery goods and sweets. Remember less is more in terms of weight management. What are your easy does it weight loss tips? Please share with us. 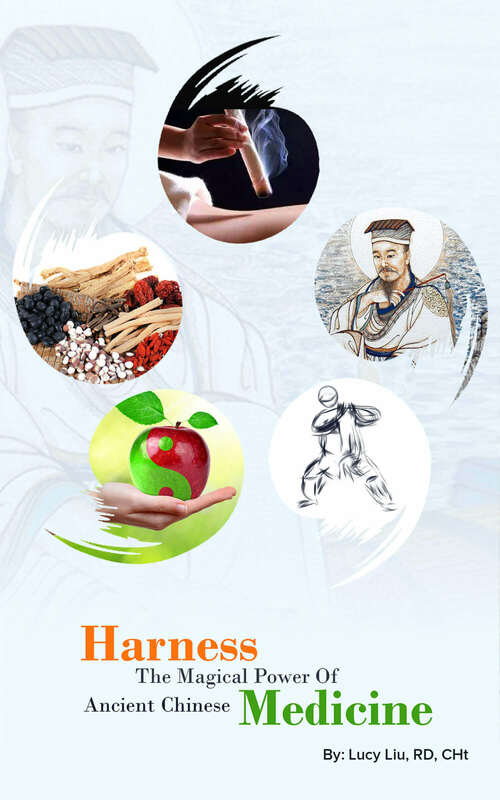 If you are interested in more weight loss and anti-aging tips from Traditional Chinese Medicine, Please check my eBook “Harness the Magical Power of Ancient Chinese Medicine”. Join a conversation Click here to cancel reply. How to Reprogram Your Body the Way You Desire! A holistic approach to help you establish a mindful eating habit! Step-by-step simple strategies to guide you to long term successful weight loss! Comprehensive solutions to transform every aspect of your life! The secrets for achieving long term weight loss naturally and effortlessly! Take action now and change your life today! How to Get Your Stomach Back on Track FAST! Why Is Iron Deficiency NOT the Real Cause of Anemia? Why Does the Heart Matter to February ? Book Lucy Liu as a speaker, check here about the topics that she offers.